Yeast has been utilized as far back as ancient Egypt to leaven bread and ferment wine. 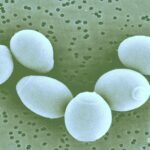 Saccharomyces cerevisiae remains the most used organism in the food industry. 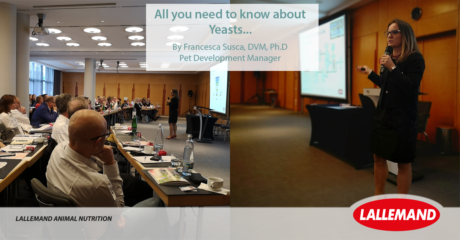 Its exceptional fermentative and nutritional qualities make yeast a valuable source of ingredients for pet nutrition too. But not all yeast nor yeast products are equivalent. Live yeast, or probiotics: Saccharomyces cerevisiae boulardii is the most documented and used probiotic yeast in human and positive results in dogs have been published, supporting beneficial effects in promoting digestive health. Whole cell inactive yeasts: Can be used as flavor enhancers or as a natural source of nutrients such as B vitamins, high quality protein and minerals. In addition, yeast can be enriched in vitamins or minerals, for instance selenium-enriched yeast is a source of highly bioavailable selenium (antioxidant and immune function). Yeast extracts are comprised of more than 60% proteins. They represent a valuable source of proteins, nutrients and minerals and can also be used as natural flavor enhancers. Yeast cell walls are rich in beta-glucans and mannan oligo saccharides, also called MOS, which are well known for their pathogen-binding and immune-modulation activities. They can contribute to microbiota balance and digestive well-being. Production processes have a great influence on the end-product qualities, the MOS contents and, hence, efficacy. In particular, yeast cell walls issued from a primary production process with a selected yeast strain should be preferable (compared to byproducts from brewery or distillery production), thanks to the specific and carefully controlled production process which ensures a consistent quality, purity and homogeneity of the final product. 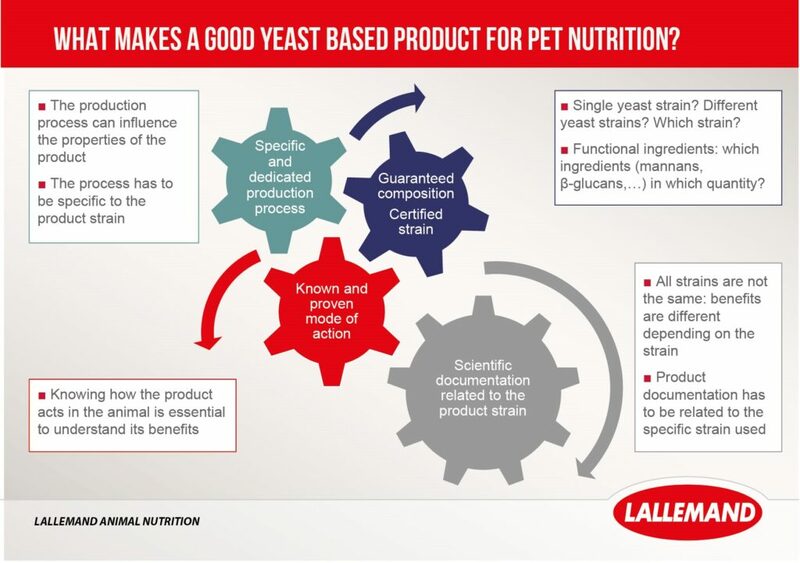 For more information about yeast and Lallemand’s portfolio of microbial-based solutions for pet nutrition, visit https://lallemandanimalnutrition.com/en/europe/our-products/species/pet-nutrition/.